When it comes to sitting an exam, the majority of students become overwhelmed, leading to nerves and poor grades. The Tutoring Center, Wichita knows the importance of sitting exams and has the following post with tips to help your student prepare for and ace their exams. As soon as you find out that you have an upcoming exam, write the details in a calendar or planner. 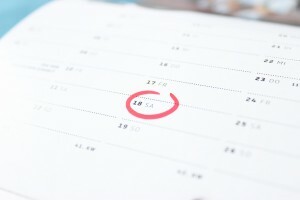 Then, working backward from the exam date, plan the study time that you will need about two or three weeks in advance. Not only can doing this prevent students from forgetting about exams but it also ensures sufficient time is already planned and available. If you use a scientific calculator in your class then it’s fair to expect that you will need it for the corresponding exam. A week before the exam, find out exactly what you will need for the test and not only make sure that you have it, but make sure that it’s all working. The perfect example is a student who turns up to an exam only to find their calculator battery has run out. While every student aims to complete all exams in their entirety, there will be times when they simply can’t. This can especially harm students who were unsure about the questions at the beginning of the exam, but focused their studying on questions which don’t appear until later in the exam. Instead, review the exam to identify any sections which are your strong points and can be answered quickly and correctly. Then move on to the remainder of the exam. As the end time of the exam is nearing, be sure to review the answers you have written before submitting the exam. A small flick of a tired wrist is all it takes to write an incorrect letter and cause an incorrect answer, which could be the difference between an A and an A+. If your child needs help preparing for their exams or they are struggling in class, tutoring in Wichita can help. Call The Tutoring Center, Wichita at 316-854-3000 and book your free initial diagnostic assessment to learn more about the benefits of tutoring in Wichita.